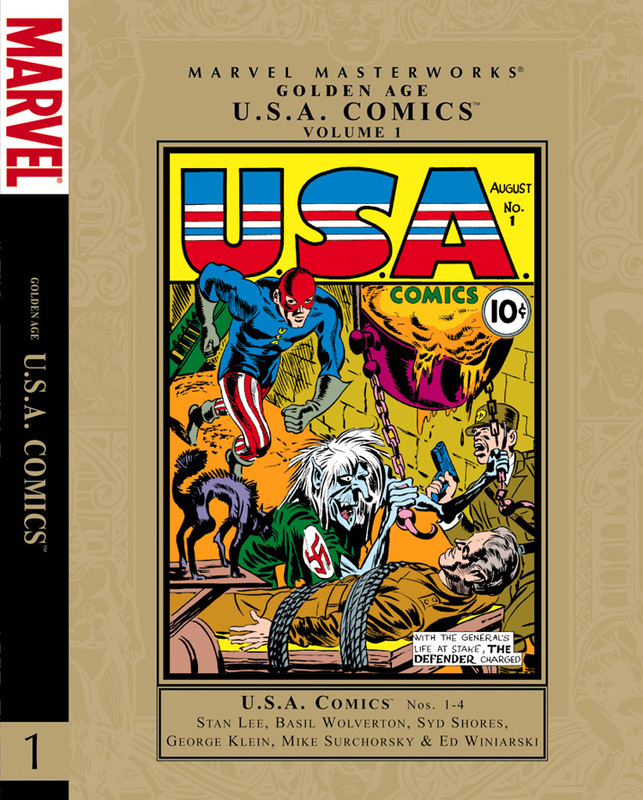 Marvel proudly presents more Golden Age goodness, collecting issues #1-4 of USA COMICS from 1941. The Defender! Major Liberty! Rockman! Rusty! The original Young Avenger! The origins of the Whizzer, Jack Frost and the Vagabond! Captain Terror turns back a deadly Nazi undersea invasion! 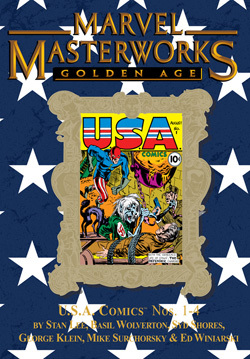 Stan “The Man” himself chronicles the historic first meeting of the USA heroes! 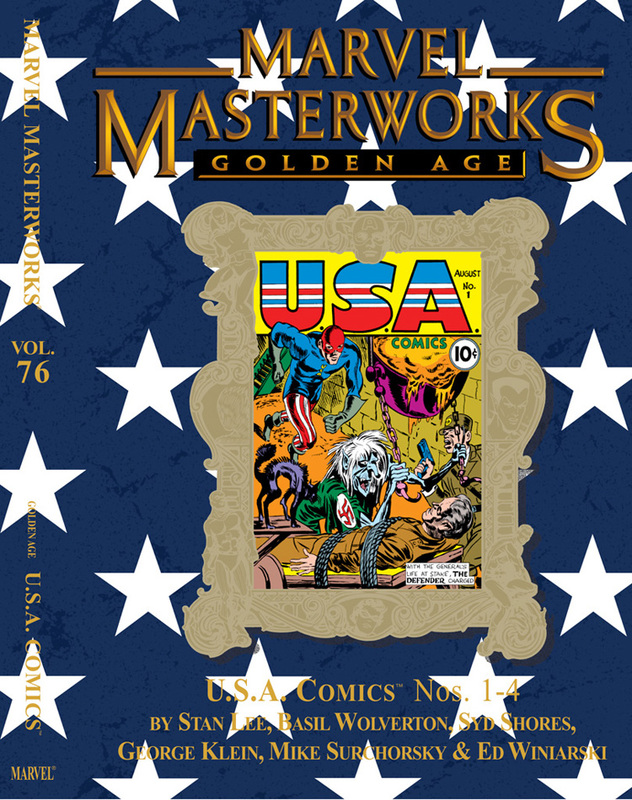 This hardcover collection remasters and restores these early adventures, some reprinted for the very first time! 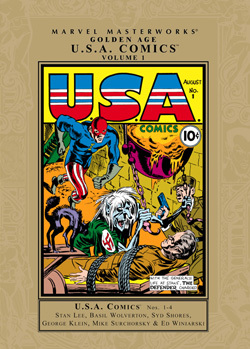 Thanks to Doc Vassallo for researching and collating the story credits for this volume!